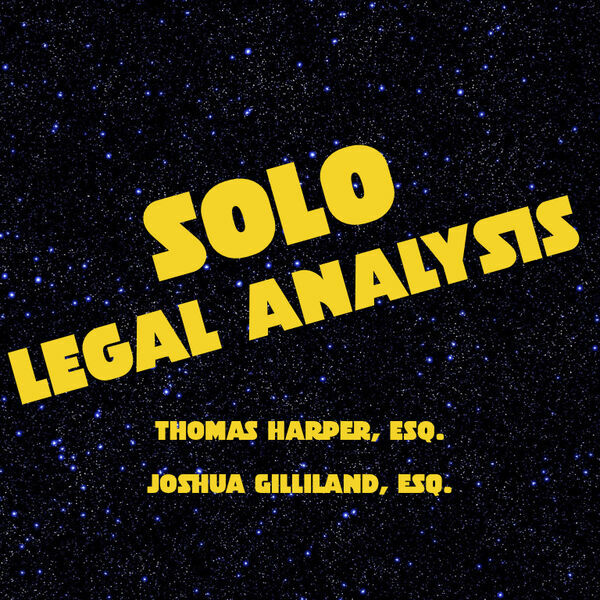 Joshua Gilliland and Thomas Harper explore the hard questions from Solo A Star Wars Story. Did the Empire conduct lawful use of military force in the Mimbanese Campaign? What is the punishment for impersonating military officers? Could Han Solo be prosecuted for desertion? Was Chewbacca’s prison diet in violation of the prohibition of cruel and unusual punishment? What can cases from the Old West on Train Robbing tell us about the heist on Vandor? Join Josh and Thomas to find out.